In this Feb. 21, 2018, file photo, a model wears a creation as part of the Gucci women's Fall/Winter 2018-2019 collection, presented during the Milan Fashion Week, in Milan, Italy. 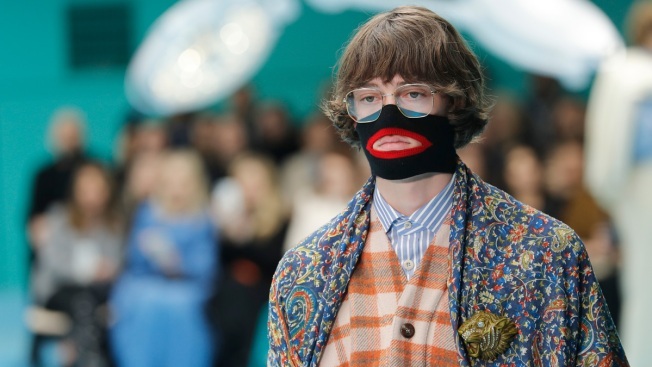 Italian fashion designer Gucci is announcing a major push to step up its diversity hiring following an uproar over an $890 sweater that resembled blackface, Friday, Feb. 15, 2019. The company also says it will hire a global director for diversity and inclusion, a newly created role. Gucci also is promising to launch a scholarship program to cultivate diverse design talent. It also will launch multi-cultural scholarship programs in 10 cities around the world with the goal of building a "more diverse and inclusive workplace on an ongoing basis." The announcement came after Gucci CEO Marco Bizzarri met in New York City's Harlem neighborhood with Dapper Dan, a well-known African-American designer, and other community members to hear their perspectives. 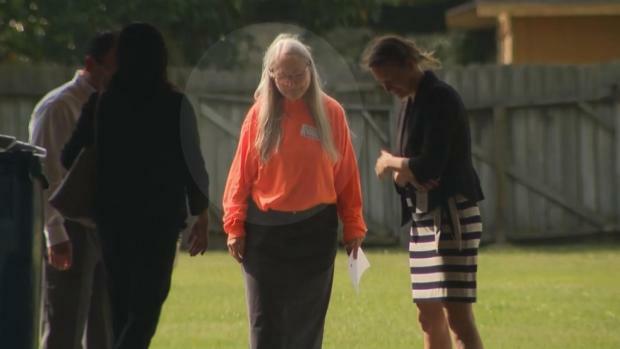 A poll worker was issued a citation for assault by contact Tuesday after an altercation with a voter at a Houston, Texas polling place. Rolanda Anthony said Juanita Barnes, a poll worker, became aggressive when Anthony tried to cast her ballot. "Perhaps if I put on my blackface makeup today you would be able to comprehend what I'm saying," Barnes allegedly said to her. Bizzarri said Gucci has spent the past days conducting a "thorough review of the circumstances that led to this" and consulting with employees and African-American community leaders on what actions the company should take. "I am particularly grateful to Dapper Dan for the role he has played in bringing community leaders together to offer us their counsel at this time," Bizzarri said in a statement. Earlier Friday, Dapper Dan tweeted that the participants at the meeting "made great demands" of Gucci. He said he would announce a town hall meeting in Harlem "for us to talk about what they have proposed." The design scholarship program will be launched in New York, Kenya's capital of Nairobi, New Delhi, Beijing, the Chinese city of Hangzhou, Seoul, Tokyo, Beirut, London and Dubai, United Arab Emirates. The company described it as a 12-month fast-track program leading to full-time employment. NBC News announced "Megyn Kelly Today" would not return following criticism surrounding Megyn Kelly's comments about the use of blackface. "I look forward to welcoming new perspectives to my team and together working even harder for Gucci to represent a voice for inclusivity," Michele said in a statement Friday.